Even the birds won't touch them! 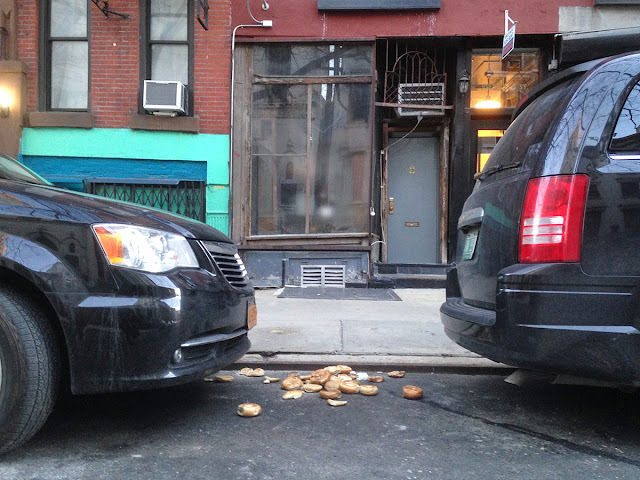 bagels, innocently placed between two cars. but when someone goes to get one, wham! i am sure that is a trap of some kind. i like all the vertical and horizontal lines in the back countering with the roundness and curves of the foreground. what a GREAT composition!